Today and the weekend are forecast to be hot ones. 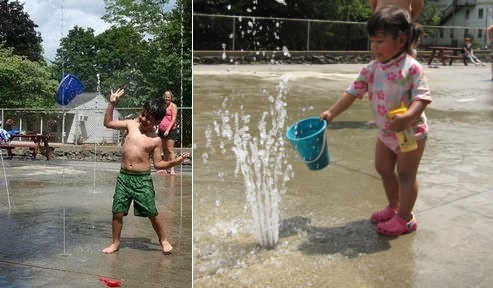 If you’re staying in town with kids, you may be looking for a place they can cool off and splash around. My kids love to swim, but we don’t have a pool. Making do with the sprinkler gets old rather quickly. Luckily, there are some better options nearby. If your kids are demanding real swimming (like mine are) then you may need to find a beach. No need to drive for hours in traffic. Take advantage of area lakes. 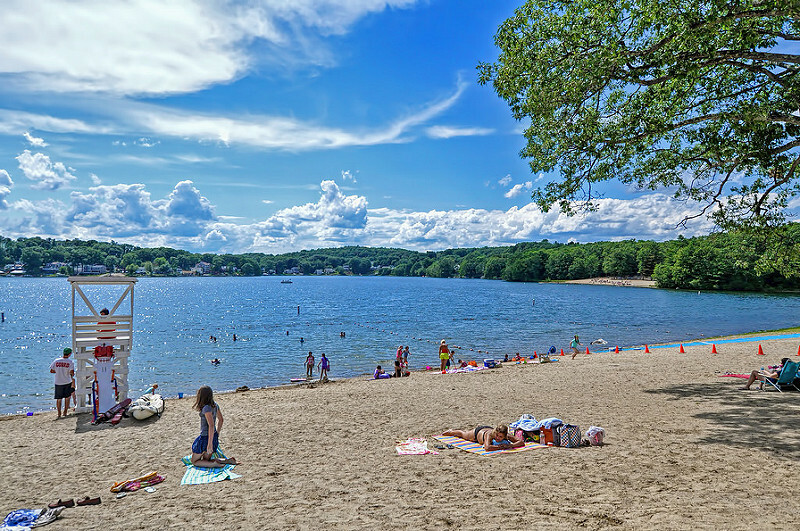 Memorial Beach in Marlborough (Saturday, June 18 through August 28th open daily 11:00 am-6:45 pm with life guards on duty. Check the site for details past that date. *Both Hopkinton and Cochituate websites warn that parking may be closed when they reach full capacity. I’ve never experienced that at Hopkinton and been there on very busy days. I couldn’t tell you how commonly that occurs at Cochituate.